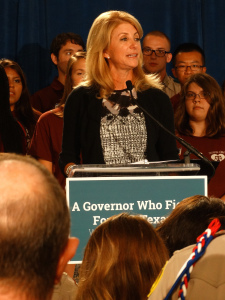 Do I think Wendy Davis will be elected Governor of Texas next Tuesday or anytime soon? Of course not because I haven’t seen any polls that show that race between her and Greg Abbot is even within five points, perhaps not even ten points. Even though she did do well in the two debates against Greg Abbot and you could argue she won both debates. And she did pick up some big city paper endorsements in Texas as well. But when you are a big underdog going in, you simply can’t afford to make the big campaign mistakes that she has, including some bad commercials.